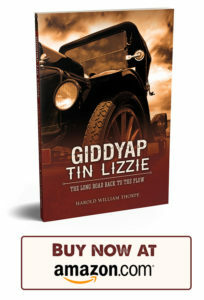 In the first two books of The O’Shaughnessy Chronicles, we got to know Will and his beloved wife, Mary, as they raised their family in the boom times of the 1920s and the struggles of the Great Depression. It’s not until Catherine grows up and begins dating the dashing Jonathon Hays, over Ruby’s vehement objections, that the puppet’s strings begin to fray. Will Ruby’s attempts to keep Catherine and Jonathon apart sever the ties between the sisters forever? 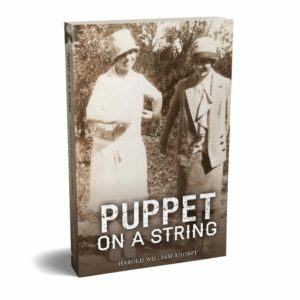 You can also order Puppet on a String, or any of the books in the O’Shaughnessy Chronicles, through publisher Little Creek Press of Mineral Point. Order now. I just finished reading Harold Thorpe’s new book, “Puppet on a String”. I like the book and the Author’s Note that is before each chapter. 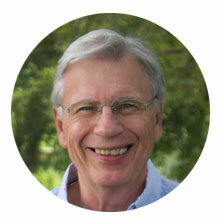 I always enjoy reading the various characters in his books; some are serious and some are humorous. My favorite character is Gusta. She does what she pleases and does not care what anyone thinks about it. If you have not read the previous books, be sure to do so. I have read all of his books and decided that this one is one of his best, if not the best. I suggest you read it and hope you will enjoy it as much as I did.